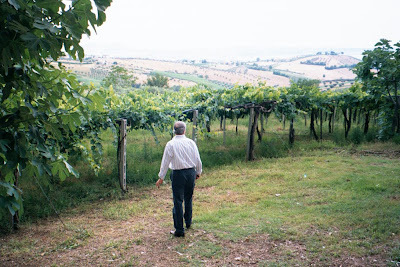 There isn’t a day that goes by when I don’t think of Abruzzo from my first visit there in the early 1980’s, when they adopted me as one of their native sons, to the years of friendship and collegiality among the many winemakers there. The Gran Sasso, the Great Spirit Mountain that looks over the area, is as much a product of the trembling earth of the millions of the year, as the people now trying to rebuild their lives. 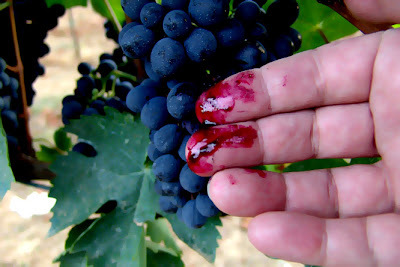 The land oozes soul; the grapes burst their energy forth for lively wines. When one hears about all the tankers of Montepulciano that move north at night to vivify weaker wines in the north, this is an unsung hero of a region. My friends at Illuminati, not trampled by the crashing bricks or rumbling dirt, but none the less affected by their neighbor’s cries of pain. Over the years their wines have changed, like their labels, but always for the better. Today they are a success story for Abruzzo. Some of their neighboring wineries near Aquila are searching for their way through back to the future. Some day they will open bottles of sparkling wine to celebrate a gathering, a success, a landmark. For now, we remember those whom we have given up to the Greater Power. How bittersweet it is to be so blessed to live in Italy and then have to die and say goodbye to all of that beauty. A sensitive and poignant post. Thanks for sharing. 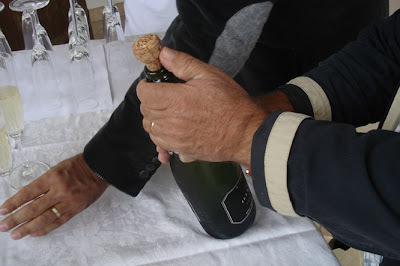 Sommeliers ~ The New Wine Snobs? "No one knows the list better than me"